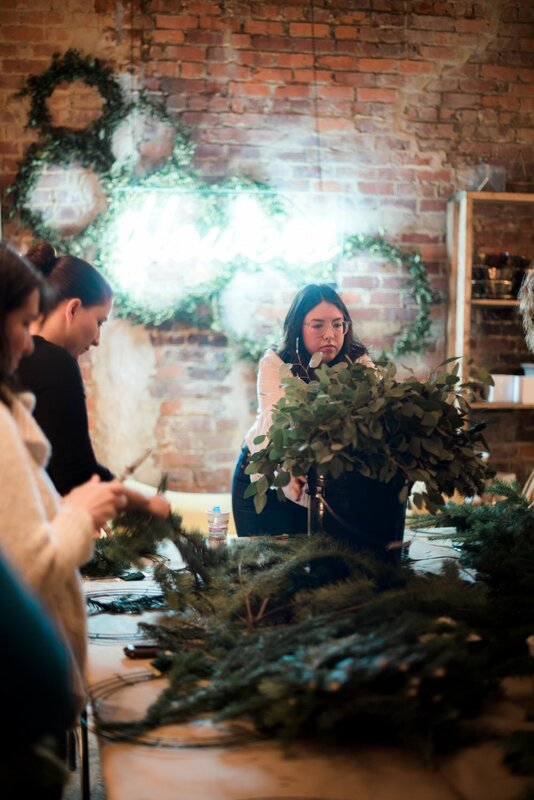 I had the privilege of gathering two groups of ladies into my shop to build wreaths the week after Thanksgiving. 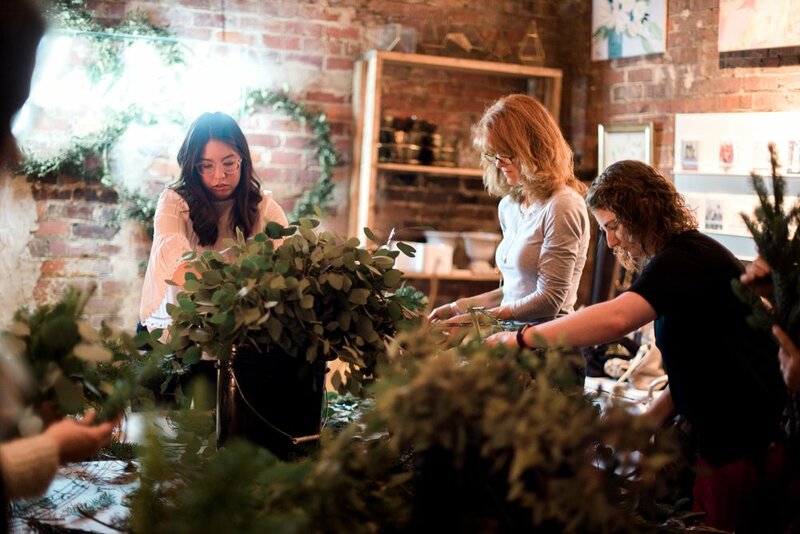 I rounded up tons of greenery - evergreens, magnolia leaves, eucalyptus - and mixed it with pods, berries, and other textures to give them a variety of materials to choose from. We listened to Christmas records, drank hot apple cider, and it was all so festive! Every single wreath took on a different personality, and it was fun to watch everyone dive in. I cannot thank these ladies enough for joining me! Loved seeing some familiar faces and meeting all of the new ones. Also, a big thank you to my assistant Michaela and to the super talented Robyn Skinner (www.robynskinnerphoto.com) for taking these amazing photos for us. Hoping I'll get to crank a few more workshops out in 2018!